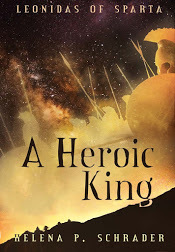 To round off this year, in which the third and final book of my Leonidas Trilogy was published, I want to share three recent reviews of "A Heroic King," published on Amazon.com. I thoroughly enjoyed this book just as I did Schrader's two previous books about Leonidas. This is exceptionally well written historical fiction and it is clear Ms. Schrader made great efforts in gathering research for this work. 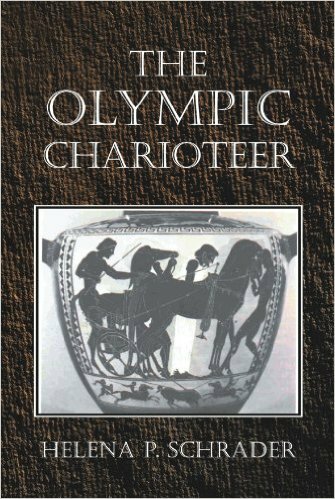 Schrader wrote this book through a historical foundation based on the writings of Heroditus and Plutarch regarding Leonidas and the Battle of Thermopylae. However, she also did a fantastic job of creating a wonderfully vivid Sparta through painstaking research and logical conclusions based on an insightful interpretation and analysis of Greece's history. I have read other works of historical fiction regarding the Battle of Thermopylae and I'll admit I enjoyed the movie 300 for what it was. I like Schrader's depiction of Leonidas best, and given her extensive research, insight, and the thoughtful approach she took to creating the story, I believe her portrayal of King Leonidas to be accurate. If you're a true Spartan at heart, then you will probably enjoy this book. If you want a great story about few standing against many with the fate of democracy and freedom hanging in the balance, then this book will not disappoint. The best part of the story is that it's true. Leonidas of Sparta: A Heroic King is the third installment in the trilogy covering the life of the famous Spartan king, written by Helena Schrader. I have not had a chance to read the first two books but jumped at the chance to read this one because I wanted to see how Helena would approach the Battle of Thermopylae. Helena Schrader graduated with honors in History from the University of Michigan and has earned a PhD in History from the University of Hamburg. She has published several books since 1993, both fiction and non-fiction. 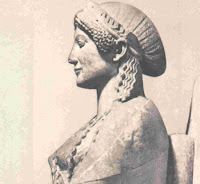 Among the former are several historical novels including six on ancient Sparta. She maintains a blog titled Sparta Reconsidered. I approached A Heroic King as a person knowledgeable on the subject matter but curious about how the author would weave fact and fiction together. Would the story be convincing? Spartan names take some getting used to and I found myself struggling through the first two dozen pages as I tried to get to know the many characters - both historically familiar and unfamiliar. Knowledge of the vocabulary of Sparta was certainly helpful during this early part of the read. Once the names were locked in, things moved along at a fine rhythm. There were many wonderful scenes -- Leonidas' election, the sacrificial ambassador's trip to see Xerxes, and Gorgo's shopping trip in Athens, to name a few. For a historical novel to be successful, you have to feel seamlessly transported back in time by the author. Then you can live the story and absorb the history along the way. Helena has successfully met this requirement by accurately capturing the lives and experiences of the people of Lacedaemon. The Battle of Thermopylae was riveting - not mere choreography like the movie 300, but real tension created by 300 men trying to survive but also prepared to die. The reader has a first row seat as the realization of no escape transforms Leonidas and his men into determined heroes. In sum, The Heroic King is a brilliantly written novel that gives life to one of the great cultures of history. Its mixture of drama and adventure can carry the reader forward at whatever pace he or she may desire. 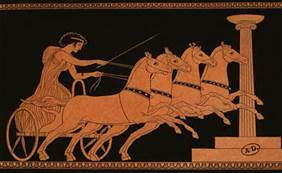 My only concern in recommending the novel is for the reader who knows nothing of Sparta - whether they will have the perseverance to work through the new vocabulary. Like the saying "Don't judge a book by its cover", I say "Don't judge this novel by its first two dozen pages". Acclimate yourself and move on to a great adventure. Dr Schrader does a wonderful job of telling the tail of Sparta and King Leonidas. This book, along with "A boy of the Agoge", and "Peerless Peer" are wonderful, well written books. I've read several books about ancient Greece, Sparta, and the battle at Thermopylae, and Dr Schrader has really done a great job researching the facts that make her book even better. Dr Schrader, if you end up reading this, I hope you go on to tell what happened to Gorgo and the rest of Sparta in the years after Leonidas died. Note: Starting in 2013, new posts to this blog will be made monthly, rather than weekly. Christians are about to celebrate the birth of Christ. 2,012 years ago, in Palestine, a man was born, who preached a new religion based on love of one’s fellow man. Dramatically, however, he not only preached this message of love, he was prepared to sacrifice himself for the rest of mankind in an unprecedented manner. This sacrifice, depicted in countless works of art and on crucifixes in churches around the world, has inspired awe and wonder for two thousand years. By the time Christ was born, the ancient city and culture of Sparta was moribund. Yes, there was still an urban community on the site of the once great capital of Lacedaemon, but of the inhabitants of this Sparta no longer lived by the laws nor fallowed the customs that that made ancient Sparta unique and great. And yet there is a bond between Sparta and Christianity in the form of Leonidas. Leonidas lived roughly 500 years before the birth of Christ and did not benefit from his teachings or example. 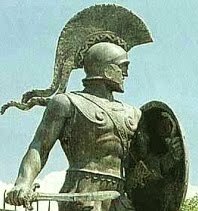 Yet, while working on my three-part biography of Leonidas of Sparta, I came to realize that Leonidas fascinates us to this day not because of his historical role (he lost a battle) but as a moral figure. 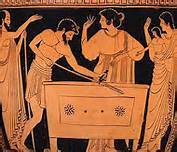 It was Leonidas’ conscious decision to sacrifice himself for his fellow Greeks that made him such an appealing historical figure. Leonidas attracts us not because he was a Spartan king, but because he was prepared to defy impossible odds for the sake of freedom. Critical to the appeal of Leonidas is that he died fighting a defensive – not an aggressive – battle. Equally important is the fact that he faced death consciously; Leonidas knew he was going to die, but that did not deter or even dishearten him. Most important of all, Leonidas did not die, like Achilles or Hektor, for the sake of his own glory and even for honor, but for the lives and freedom of others. Leonidas’ conscious decision to die in order to save Sparta from destruction was proto-Christian. His example is morally up-lifting, and his story inspirational. These, not a fascination with Ancient Sparta, are what make his story worth telling and make his story worth reading. In the ancient world, the Spartans were (in)famous for speaking rarely and employing as few words as possible to convey meaning. This was yet another area in which the Spartan tradition was the exact opposite of the Athenian one. In Athens, the ability to sway the Assembly -- or the hundreds of jurors in a court case -- with a good speech was the very foundation of power and influence. Pericles and Alcibiades are just two examples of Athenian politicians, who owed their power largely to their skill with words. The Spartans, in contrast, valued simplicity in speech no less than in attire or architecture. Ancient “Laconophiles” collected examples of Spartan speech, all characterized by pithiness, while Xenophon stresses the – evidently unusual – ability of Spartan youth to hold their tongues except when directly addressed. Perhaps the most graphic example of the Spartan distaste for excessive verbiage, however, is the (probably apocryphal) story of the Samian ambassadors, who sought Spartan aid in their fight against Polycrates. According to Herodotus, the Samians gave a very long speech after which the Spartan’s complained they had forgotten the start of the speech by the end of it. When the Samians then brought a bag and said the bag needed flour, the Spartans replied that the word ‘bag’ was superfluous – and proceeded to give the requested aid. (Herodotus 3:46). Another, more famous example of Spartan succinctness was Leonidas reply to Xerxes demand that the 300 Spartiates at Thermopylae surrender their arms. Based on the speeches of various Athenian commanders recorded in Thucydides, it is easy to imagine what an Athenian commander would have answered. An Athenian commander would undoubtedly have given a long lecture to Xerxes on democracy and freedom, on honor and how beautiful it is to die for one's country. Leonidas confined himself to: "Come and take them." Because Spartan eloquence was characterized by an absolute minimum of words, we describe minimalistic speech as “Laconic” even to this day. Yet while the Spartan culture of reducing speech to its bare essentials and speaking only when necessary was described and admired by ancient observers, the reasons for Sparta’s culture of silence are less obvious. 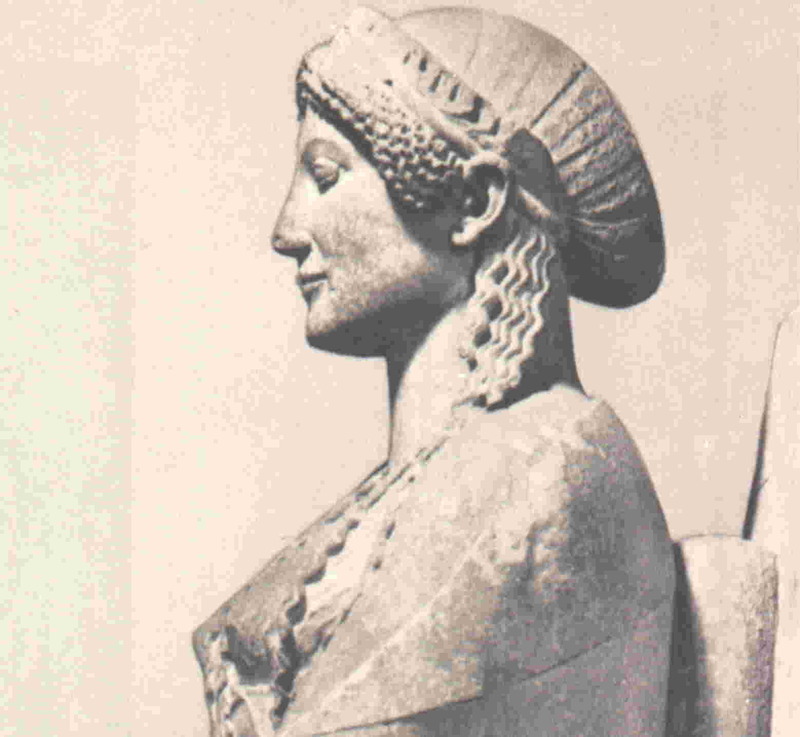 W. Lindsay Wheeler in his excellent article “Doric Crete and Sparta, home of Greek Philosophy,” (Sparta: Journal of Ancient Spartan and Greek History, Vol. 3, # 2), provides a possible answer. 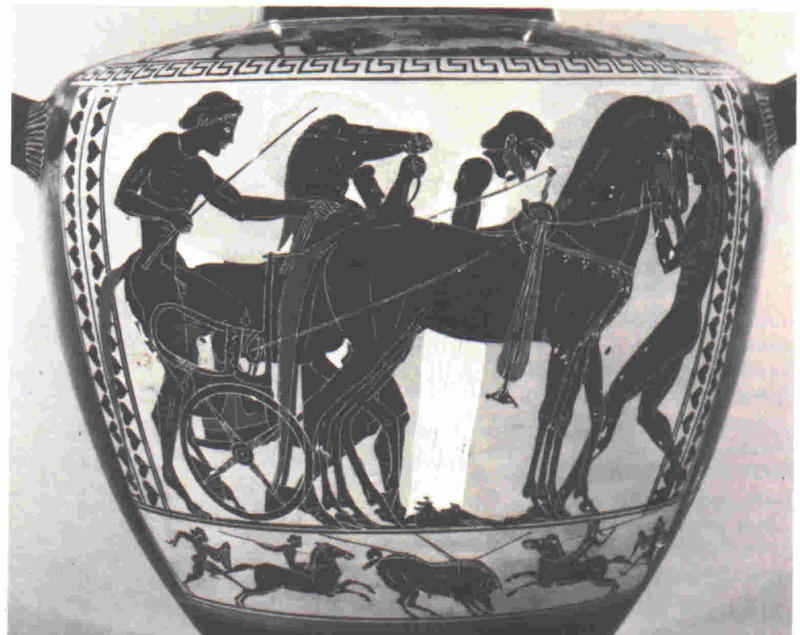 He notes that silence was a critical component of the Spartan educational system because it taught youth to give their thoughts "force and intensity by compression.” He suggests Spartans wanted their speech to be “short, concise and to the point, like their spear points.” He goes on expound on the depth to which philosophy lay at the roots of Spartan society and culture. He argues that a society that valued philosophy based on observation, scorned idle chatter, and it is fair to assume that in Sparta men were expected to speak only when they had something worth saying. Sparta valued philosophers rather than sophists. I think there may have been another factor at work here too, as I hinted last week's entry about Gorgo's most famous quote. 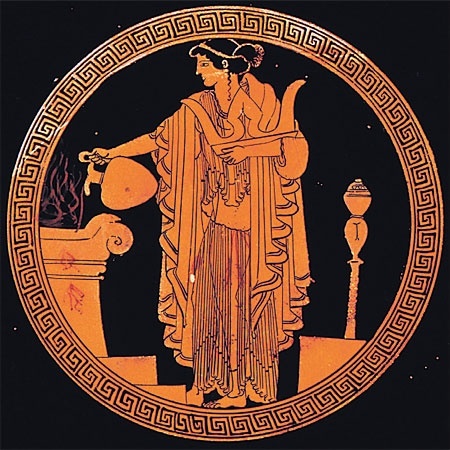 Whereas in Athens, men gained respect, influence and power through their ability to sway the Athenian assembly with their words, Spartans were more likely to gain respect and influence by proving their competency at arms. Likewise, appointment to coveted office such as the Hippeis required living a "virtuous" life -- hardly something expected of Athenian elites. In short, in Sparta, what a man did counted for more than what he said. This is not the same, however, as being uneducated and incapable of sophisticated expression. As Helmuth Graf Moltke, the novel-writing, strategic genius behind Prussia's military victories over Austria and France in the 19th Century pointed out, it is far more difficult to formulate thoughts concisely than to express them at length. Indeed, it is very easy to ramble on for hours without saying anything at all! The Spartan form of minimalist expression required an equal command of language as the Athenian rhetorical tradition of long political speeches and theatrical monologues -- but a good deal more discipline. As for silence, it too can convey meaning. Silence can be threatening or sympathetic, disapproving or indifferent. Silence, especially when combined with action, can even be eloquent. I suspect, such eloquence was the kind most valued in Sparta. 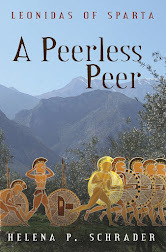 The following review of "A Peerless Peer" was post posted on amazon.com by "Thomas E." October 28. Thank you, Thomas, wherever you are! Doctor Helena P. Schrader is an accomplished historian and author of both non-fiction and fiction books. She also owns land in what was once known as Laceadeamon, or Sparta and writes about the place as if she can visualize it -- outside her front porch. 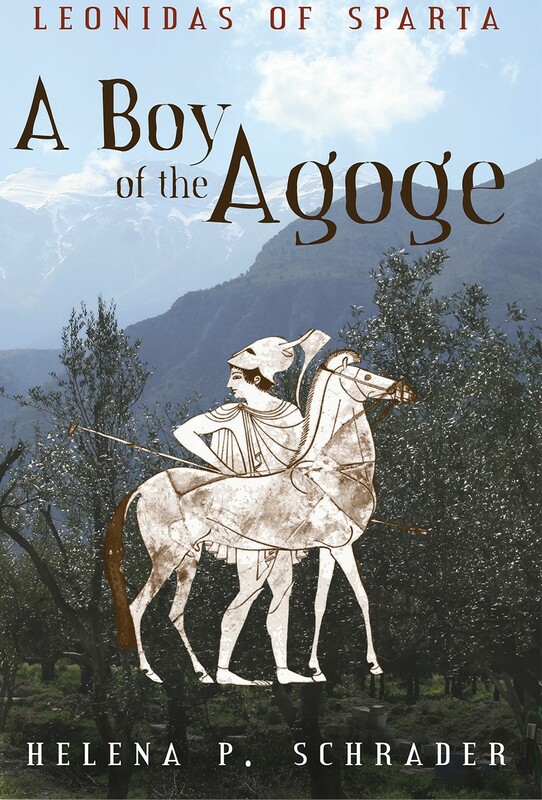 In this, the second entry in her trilogy on Leonidas, she again hits the mark and builds even further upon what was a stellar entry in Leonidas of Sparta: A boy of the Agoge. 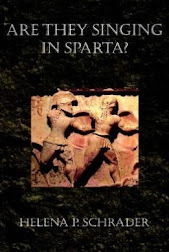 The first book took us through the early years in the life of Leonidas, focused as the title would indicate, largely on the agoge and the various rituals and training regimes that young men in Sparta underwent. 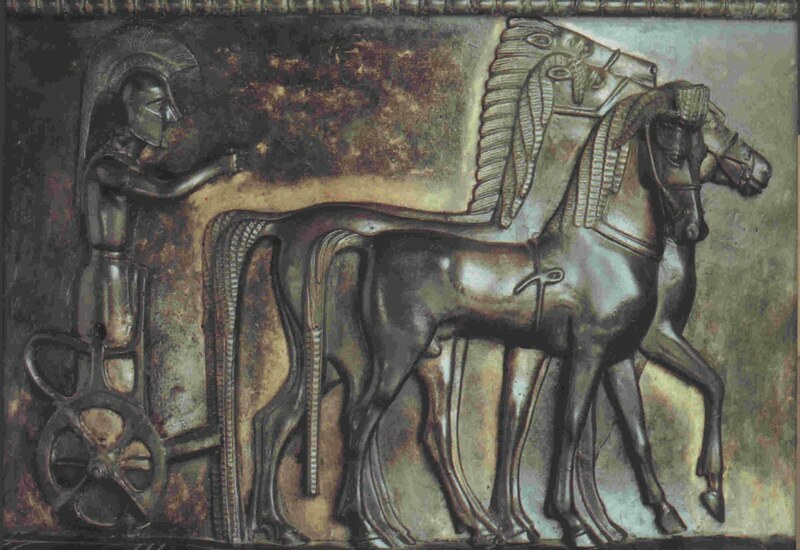 It also let us know how romance and family relations in the city functioned, and how the perioiki and helots worked into this social system and structure. Now Leonidas is a grown man, a member of a mess, and a soldier in the army. He has taken it as his mission to become the "Peerless Peer" that the title aludes to, and we are given the opportunity to understand how a man could grow into one who would willingly sacrifice himself for his country. We are given opportunity to see how the vaunted army functions, and how the kleros that maintains Spartan society actually works. For a city that strove towards an idyllic distribution of property that would make everyone equal, Schrader lays bare how one cannot legislate against greed and the machinations of the human spirit to protect ones family and build one’s own assets. There are villains and there are saints in Sparta, and Leonidas encounters them all. The system of two kings is a recurring issue as well, in how it affects what is never more than a small city. The fact that Sparta was not always on a war footing comes up, and how families dealt with fathers, who basically were never around until they hit the age of thirty. It is a history book wrapped around a story that touches upon all the facets of the ancient world that one does not think about when envisioning such a place, but which make that place a real location that we visit through her writing. This is outstanding work, and we can all only hope that there is more to come.